I have been experimenting with fasting for a while but I became interested in this diet last year, after listening to a podcast where Dr Longo, the brain behind the product ProLon, was explaining the benefits of this way of fasting which include fat loss while maintaining muscle mass, antiaging effect, natural ‘spring cleaning’ of the cells which means a lower level risk factor for many illnesses, stronger mental focus, better blood sugar regulation. Who could argue with that? I have also been feeling quite sluggish lately so I can do with an overall boost, especially before my holiday in the sunshine! You don’t need a pre-packaged meal solution to do this diet, but it does make it easier because, in this way, the ratios and percentages of nutrients have already been worked out for you. Getting this balance wrong, could result in the whole fast being ineffective and, according to Dr Longo, potentially dangerous. ProLon is a nutrient dense, backed by science modified type of fasting. Basically, you don’t completely abstain from food, like in a real fast, but you consume a small amount of food -consisting of plant-based soups, bars, snacks, teas and supplements- which is designed to maximize the beneficial effects of fasting while providing nourishment and minimizing hunger. Before you scream in excitement -did I just say there is food during a fast?- let me tell you that this is not the average food you eat daily , it’s more like the food astronauts survive on -or so I think anyway- but if you struggle to do extended fasts, like I do, then eating a little might be easier than not eating at all. As far as the first day went, all I can say is that it wasn’t plain sailing. I felt quite light headed and tired during most of the day but I wasn’t as hungry as I thought I’d be. I ate a lovely nut-based bar for breakfast and drank huge amounts of the herbal teas provided during the whole day. The main meals are vegetable-based soups and today the tomato soup tasted ok. There were also some nice herbs crackers and olives to go with it. I always have dinner quite early so the evening was dragging on a bit and I decided to have an early night not to focus on my empty stomach. I woke up hungry and I struggled with hunger for the whole day. There was less food available for today, but they add in a lovely solution to dilute in water and sip through the day which tasted nice. I had a busy day running around with my daughter and the thing that strikes me the most about today is that I have been very grumpy. Irritability is a possible side effect of low calorie and low protein diets as well as anxiety, depression, dizziness, fatigue, drowsiness, muscle aches, nausea, headaches and spinal pains. On their list of potential side effects, they also mention constipation, fainting, low blood pressure and low blood sugar. In a nutshell it’s safe to say that this is not for a walk in the park. My blood sugar levels were quite stable during the day and my keto strips told me that I have entered ketosis. You might have heard about the ketogenic diet and getting into ketosis which is a normal metabolic process which the body does to keep working. When you follow a very low calories or low carbohydrates diet and the body doesn’t have enough glucose to burn for energy, it starts to burn fat instead. Fasting is another way of entering ketosis quickly but it all depends on the individual. My normal diet is low in sugar and carbs -the only carbs I eat regularly are fruits and vegetables- so I am not surprised to be in a state of ketosis already. Cooking dinner for the rest of the family was a challenge and the lovely tiny, little chocolate bar (picture below) at the end of dinner was the highlight of the day! I also struggled to fall asleep and felt very cold during the whole evening. Feeling quite cold is unfortunately common during fasting, and the cold weather doesn’t obviously help so I went to bed with a fleece and socks. Good job my husband is away this weekend! I woke up with lots of energy and not feeling hungry at all. Such an improvement from yesterday. I haven’t felt lightheaded either, but I had a dull back ache which is rather annoying as I needed to spend some time sitting down today catching up with my writing. It’s interesting to notice how I haven’t been hungry, but I would have liked to eat something extra despite my soups and crackers. Fasting is very much a mind game, the body adjusts to the lack, or very little food, and hunger pangs tend to fade. It’s the mind which is harder to distract! My evening meal is just a vegetable soup, no cracker or olives to go with it but I don’t mind. My husband and daughter’s very rich dinner doesn’t bother me at all either. I am feeling very awake and super energised. I am writing this late in the evening (it’s almost 11 o’clock at night which is late for me) and I am planning on starting my packing as soon as I finish this because I don’t feel sleepy at all. This is very unusual for me because I am usually in bed by now, if not earlier. Two more days to go, I feel like I can definitely do this! I woke up very early today despite going to bed late and I felt ok all morning. At breakfast I was a little bit hungry and craved a coffee which I didn’t have. The plan doesn’t include coffee but apparently if you are really struggling you can have one without anything in it. I like my coffee with milk, so I decided to forget about it and have some peppermint tea instead. I felt ok during the afternoon, the backache is gone and the grumpiness too which is good news but today I felt hungrier than yesterday. Cooking dinner was a real struggle and it was hard not to taste the Bolognese sauce I made for the rest of the family. Cooking while fasting -or semi-fasting- is not my idea of fun. Luckily, I am busy packing tonight – and writing this! – so I am not thinking about food. This is the thing, it’s more to do with the mind again because my stomach is not complaining. I can’t honestly say that I am hungry right now; I just would like to eat something. This experiment made me realise that I don’t always eat because I am hungry…. I guess I am human too! We are all emotional eaters at some level, and this is ok because food is not just nutrients. However, if you have difficulties losing weight or maintaining your ideal weight then this needs to be addressed. Even eating healthy food when you don’t really need it can lead to weight gain, tuning in to your hunger clues is important and I guess that fasting greatly helps with this. The other thing I have noticed is that I have a lot of energy, and I am quite focused too. Usually when people go on very low calories diets, they complain of fatigue and drowsiness but, after a rough Day2, I have been feeling great. Finally, the last day of the fast mimicking diet. I say finally because I am bored of the pre-packed soups, except for the tomato soup in the picture above which was my favourite. I am missing fresh vegetables and protein. It turns out that this diet is 45% carbohydrates (all coming from vegetables and a little quinoa), 45% is fat (mainly olives, nuts, and some omega 3 supplements) and only 10% is protein (coming from nuts and vegetables). My normal diet is much higher in protein than this, and so it doesn’t surprise me that today I have been craving not only fresh foods, but also nuts/seeds/meat and eggs. Dr Longo argues that the special ratio of these nutrients is vital for feeding the microbiome -the bugs that live inside us and especially in our gut- which plays a huge role in our health particularly in the function of the immune system. Today I haven’t felt particularly hungry -hunger hasn’t been an issue beyond day2- I was just craving and missing real food. Energy bars and pre-packed soups are not ideal if you are used to cooking everything from scratch. I felt great with lots of energy and mental focus again. The only side effects I can report are constipation and a few little red spots on my face which I am sure will go once I start eating normal again. Have I lost weight? I have lost 1.5 kg and the fat percentage on my scale went down a little which is good news. Bear in mind that this diet is not aimed at weight loss even if some weight loss is to be expected. Would I do it again? Dr Longo recommends doing a cycle -the whole 5 days of ProLon- regularly to get the full benefits. If you don’t have specific health issues you could do this twice a year, but if you suffer from an autoimmune condition for instance, you would benefit from doing this more regularly. As for me, I am thinking of repeating the cycle again in 6 months’ time, and this time I would also add some blood tests before and after to check what really happens on a cellular level. A Day 6 ‘transition diet’, which is not included in the pack, is recommended before you go back to your normal way of eating. The meals suggested are liquids first (soups or juice) followed by some light meals of rice with small amounts of fish/meat/legumes. After any fasting it’s always good practice to ease back into foods slowly so not to give the digestive system a shock and avoid bloating and discomfort. 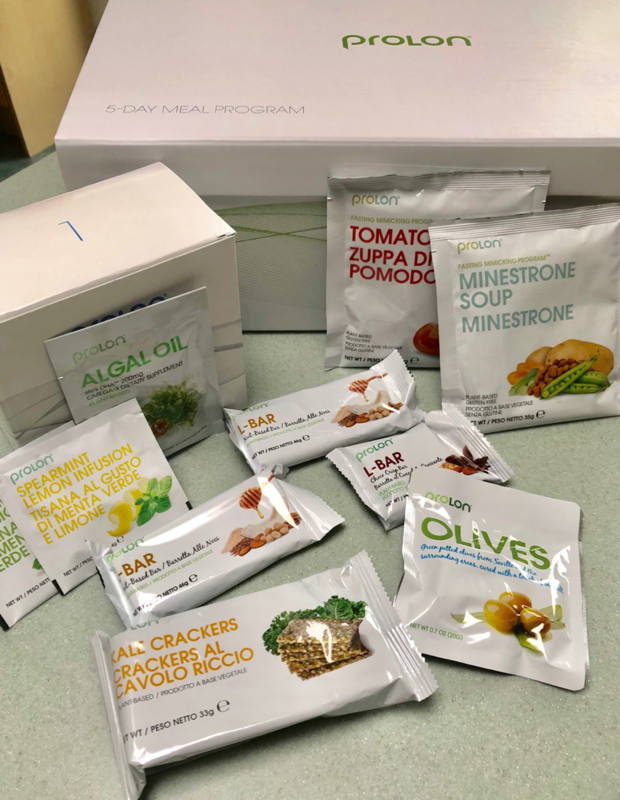 I am glad I embarked on this journey because I have learnt a lot about my eating habits and, although I can do 5 days of ‘astronauts foods’ in the name of longevity, I also know that pre-packed soups and meal bars are not really up my street! A word of caution, this type of diet is not suitable for everyone. Pregnant women, people who are underweight, anyone over the age of 70, people with liver or kidney disease, anyone on medication or suffering from low blood pressure or other pathologies (cancer, diabetes, cardiovascular disease and so on) must not go on this diet. If you are thinking of embarking on a fast or any type of diet, please consult your doctor or a health care professional first. Watercress is in season right now (April) and it’s one of those foods brimming with nutrients. You can easily squeeze it into your diet in place of regular lettuce or rocket, where it brings a lovely peppery flavour. It adds a lovely bite to smoothies and juices and is surprisingly mild in soups. What I want to share with you this month is a lovely sauce you can whip up in a flash and use to perk up white meat, pork or fish. Here is an example paired up with pork. There is an argument that all foods are OK in moderation, and this is largely based on not having ‘being healthy’ become something that feels like a chore or that has you missing out on some of the things you really enjoy. You know that I am not a purist, and I totally believe in never demonizing foods because having ‘extreme’ views on anything is never healthy. But as a nutrition professional, there are a few things that I NEVER eat. I won’t go into how bad sugar is for you because I am pretty sure you know this by now. Sugar has no nutritional value, so I see no point in eating something that has no benefits to my health. Unfortunately, everyone eats far too much of it as it sneaks in many products not just cakes, biscuits, convenience foods but sugar is also in foods that are marketed as ‘healthy’. Margarine and vegetable spreads are the nutritionally poorer relations of real butter, coconut oil and other healthy fats like olive oil. Again, they are heavily processed. Often what draws people to them is the thought that they are somehow healthier because of their lower levels of saturated fats. Given that saturated fat is not the enemy to your health – while artificially hardened vegetable oils (think trans-fats) are – it’s far better to stick to unadulterated fats, using regular butter, ghee (clarified butter) and coconut oil, or olive oil for cooking at lower temperatures. Sometimes I see clients ‘filling up’ on diet drinks, which (although they contain no actual calories) are doing your body no favours. They’re still conditioning your body to expect more sweet stuff, and the jury is still out on whether artificial sweeteners are not great or seriously detrimental to health. Energy drinks often provide a dual hit of very large amounts of caffeine accompanied by either a lot of sugar or artificial sweeteners. When I’m working with clients who are propping themselves up with these drinks, I like to get to the cause of their fatigue, because what’s in the tin of Red Bull (or similar) will not help them solve the real issue. It is quite shocking how little actual meat goes into hotdogs, and processed deli-style meats are often pumped with water, sugar (even if it’s not actually called sugar, look out for anything ending in ‘-ose’ – like dextrose), salt and preservatives. Some of the additives in processed meats have been linked to increased risk of colon cancer. Most supermarket cereals are filled with sugar and very high in starchy carbs, which will have your energy levels crashing come mid-morning. Better options include home-made granola (like the cinnamon pecan granola from Deliciously Ella), which are easy weekend jobs and last a good while, porridge or overnight oats, omelettes or poached eggs (in fact, any kind of eggs) on wholemeal toast. These are often a go-to food for anyone counting calories. Unfortunately, they will skyrocket your blood sugar levels. A better choice would be a couple of oat cakes topped with unsweetened nut butter or a little hummus. Quorn is a very processed food that comes from a fungusFusarium venenatum and is fermented. It has a lot of other ingredients added – like flavourings, yeast, starches and colourings, gluten to give it the texture and flavour of meat. It also tastes awful, in my opinion! Lentils and pulses are a much healthier alternative if you’re after vegetarian choices. The easiest way to get lots of sugar into your system in a short space of time is by drinking it. And since it comes in as liquid, the body doesn’t register it as “eaten”, so it cunningly slips past any detectors that might otherwise signal satiety or ‘satisfaction’. Fruit juice – particularly when freshly squeezed – certainly contains lots of lovely vitamins and minerals, but it contains lots of sugar too. So, if I want to drink a juice it’s usually a vegetable based one with perhaps just 1 piece of low sugar fruit, like berries. Better still to make that into a smoothie and add some protein (like some nuts) and a healthy fat too (like half an avocado). If you want fruit, eat whole fruit because. Don’t drink it. Does this list surprise you? Are you struggling to make sense all the nutrition information out there? Or maybe you would like to know what foods to eat to regain your energy and wellbeing. I can help you to clear some of this confusion. Book a free introductory session with me by calling 07772491975, tell me more about your health goals and find out how nutritional therapy can help you. Eating food you have cooked or prepared at home is healthier for you. It is also considerably cheaper. The key to this is planning. You’ve probably heard the saying ‘failing to plan is planning to fail’. Without a weekly food plan, it will be pure luck if you end up with the right foods in the fridge or cupboard. And, without planning your time, you won’t always make the time to enjoy breakfast or make that lunch. You could be saving a LOT of money each week by following these tips. HOW MUCH ARE YOU REALLY (OVER)SPENDING? Become a planning ninja. The thing about planning is that you need to plan to plan. It’s easy to get derailed by events, situations, relationships and tasks that insert themselves into our already busy lives. When fruit and vegetables hit peak production, they are usually cheaper. Buying food in season means you are saving money and eating better tasting food which has not travelled for miles. Batch cook whenever possible, this will not only save you time but also money. A huge amount of food is thrown away, because we’re not sure what to do with leftovers. Make a commitment to using yours and prepare to save money. There is a bank of resources online to help you find easy recipe suggestions for pretty much anything you may have lurking in the fridge. MONEY-SAVING TIP: Greengrocers are often the cheapest places to buy your veg. Also consider basing meals around special supermarket deals (example Aldi’s Super 6), and don’t rule out the basics and essentials ranges of veg (usually just means they are not regular shapes and sizes). Don’t rule out frozen vegetables either. They are cheap, often frozen soon after picking so they are very fresh and offer the ultimate convenience. And you are likely to waste less. MONEY-SAVING TIP: Consider that the more sugar you eat, the more you need to eat. Sugary ‘treats’ soon become three times a day habit. Depending what you’re snacking on, cutting it out (or cutting down) could save several ££ each day. Economy Gastronomy by Allegra McEvedy & Paul Merrett. Save with Jamie by Jamie Oliver. Eat, Shop, Save by Dale Pinnock. Eat Well for Less (various books) by Greg Wallace & Chris Bavin. If you need any help with your meals planning, food preparation or tips on how to spend less money on your food shopping get in touch to arrange a free 30 minutes session. Call me on 07772491975 or email info@stellanutrition.com . Castagnaccio is a popular Italian winter cake made with chestnut flour. There are many variations to this cake according to which Italian region you visit, however this recipe has been taken and adapted from the book ‘Pausa Pranzo’ written by my amazing talented friend (and chef!) Stefano Arturi. Chestnut flour is a great nutrients dense option as chestnuts are rich in complex carbohydrates (which are digested slowly giving you even energy levels), vitamin c, potassium, copper and magnesium. Mix all the ingredients (except from a tablespoon of pine nuts and the rosemary) in a large bowl. Pour the mixture in a greased baking tin and top it up with the pine nuts the rosemary and a little extra olive oil. Bake in the oven at 180C for 30/40 minutes or until the surface starts to dry up. This cake has no yeast, so it won’t raise at all. Traditionally this is not a very sugary dessert and the taste is quite strong. If your kids are used to very sugary treats, they might need to try it a couple of times and develop a taste for it before they get to like it! Please notice that if you are allergic to nuts this flour might not be suitable for you. I love Apple crumble but when I am out it’s hard to find a gluten free and not- too- sugary version, so in October when lovely apples are in season, I make my own. For this recipe, try to find the sweetest apples you can find instead of tart cooking apples (Fuji’s are ideal but Gala and Braeburn apples would work as well) so you only need a little bit of maple syrup to add extra sweetness. It’s so easy to make and it taste and smell delicious! Preheat the oven to 180˚C and grease an 8”-square pan. To make the topping, combine the oats, pecans, flour, and cinnamon in a small bowl. Add the maple syrup and melted butter and mix well. For the filling, mix the apples with the cornflour, cinnamon, and nutmeg in a large bowl until completely coated. Transfer the filling to the pan, and gently press down with a spatula. Sprinkle evenly with the topping and bake for 50-60 minutes or until the apple pieces are tender. Let it cool before serving. Should you ditch the scale? The short answer is maybe, and the reason might surprise you. I am not totally against scales and I do use one in my practice but only with clients who feel comfortable with this, and only once every four or five weeks. My scale is a body composition monitor which also measures fat and muscle percentages, visceral fat rating, metabolic age and muscle mass which tell a bigger picture than just weight. This scale is part of a set of tools which can be useful for some, but not all, people. Studies have shown that weighing yourself regularly can help you maintain long-term weight loss. However, I don’t believe that people trying to lose weight should be constantly checking in with the scale and become obsessed with it. Weight can fluctuate incredibly from one day to the next for a variety of reasons, but when the number goes up or stays the same, despite exercising and eating well, people can end up feeling defeated and demoralised. That number can trigger a lot of emotions like guilt, fear, shame, frustration and anger which can lead to poor body image and negative self-talk. A slippery slope that can push you into bingeing or overeating. But guess what? That number is just a number, it’s not you, it does not define who you are. You are not a number; your happiness and self-worth are not dictated by a number. The truth is that while for some people the scale is an important and useful tool for maintaining weight loss, for others, it can stand in the way of success. As a nutritionist and health coach offering personalised advice, I need to adjust what I do according to the specific client I have in front of me, and although most of my client’s goals are about weight loss, I never directly focus on this. This might surprise you, but for me weight is just another sign showing that something in the body is out of balance. This could be because of hormonal issues, food sensitivities, inflammation, chronic stress, lack of sleep, or some other health problem. When we focus on regaining health and balance, on a physical and mental level, then the weight loss happens as a nice side benefit. The way you feel, how your digestion is working, how well you sleep, how your body fight infections and how you deal with stress are all important markers of health, more important than any number on the scale. The scale won’t tell you your overall health, or if you have more energy, or less pain and bloating. It won’t tell you if your clothes are fitting better or if you are feeling more confident. It won’t tell you if your skin is glowing. It won’t even tell you if are able to sleep better, run faster or exercise for longer. These are the important things you can rely on to keep you motivated. If you really want some numbers, then a better way is to measure your waist, hip, -as well as your waist to hip ratio- chest, arms and thighs. You can also keep track of how your clothes fit, because sometimes the number on the scale might be staying the same but you need to go shop for smaller clothes. This can happen if you switch your exercise routine, for instance, and you start to lose fat and gain muscle which is exactly what you want. Focus on healing your relationship with food, improving your everyday eating habits, getting healthier, fitter, and more active. This can take the pressure off, allowing you to lead a healthier life and flourish. If you want to find out how nutrition and coaching can help you reach your ideal weight and regain your health, call me on 07772491975 or email me at info@stellanutrition.comand book a complementary 30 minutes session and start your journey to better health. Courgettes, Leeks and Pea Soup. 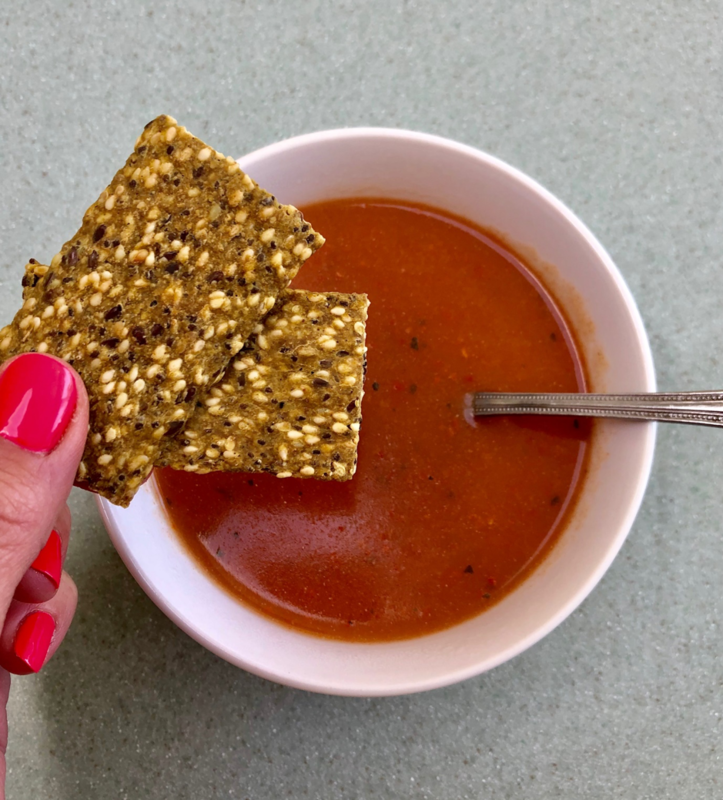 Courgette are in season now, and although I mainly make courgettis with them as a lighter alternative to pasta, blending courgettes in soups is a refreshing idea. This is one is one of my favourite’s soups involving this versatile vegetable. Roasting the vegetables first brings out their sweetness and it enriches the final flavour. Trim the ends off the courgettes and the leeks and slice them into rounds of about 1cm. Place on the baking tray along with the garlic cloves (still in their skin), then drizzle everything in the olive, seasons with salt/pepper, and toss everything together. Roast in the oven for 40-45 minutes, turning occasionally, until soft and slightly brown. Meanwhile, heat the vegetable stock, add the peas and let them thaw. When the roasted vegetables are ready add them to the stock, but first squeeze the flesh out of the garlic cloves and discard the skins. Pour everything into a blender or food processor (I use a hand-held blender for this because it makes the washing up easier! ), along with the basil. Blitz to a smooth purée then taste and add salt and black pepper as required. Sprinkle some grated parmesan cheese on top just before serving if you like a richer taste. Does the thought of wearing a bikini or any swimwear fill you with dread? Do you spend all your time on the beach covered up and/or feeling self-conscious instead of relaxing and enjoying your time away? Would you like to throw aside any insecurities and radiate confidence on holiday -and all year round? Here you are my 8 top tips to help you feel good in your own skin and enjoy the beach! Often the reason we don’t feel confident on the beach is not actually down to our size or shape. It’s because we feel self-conscious that our tummy is sticking out and we feel uncomfortable and bloated. The secret to beating the bloat and creating the appearance of a flatter tummy is easier than you might think. You just need to do a little “nutritional homework” before you hit the beach. That means starting the day with a cleansing cup of fresh ginger and lemon tea (mix peeled and grated ginger and squeezed lemon juice with boiling water). This will rev up the metabolism and cleanse the digestive system. Then you need to up your protein intake, ideally two weeks before you go away to notice results. This means eating lots of fish like salmon, cod, haddock and mackerel. The protein in the fish will make you feel fuller for longer and stop you snacking in the day, while the anti-inflammatory omega-3 fats will make your skin glow! You want to find yourself thinking ‘where’s the protein’ at every meal and snack but this is one of the key ways of keeping your energy levels (and weight) balanced. 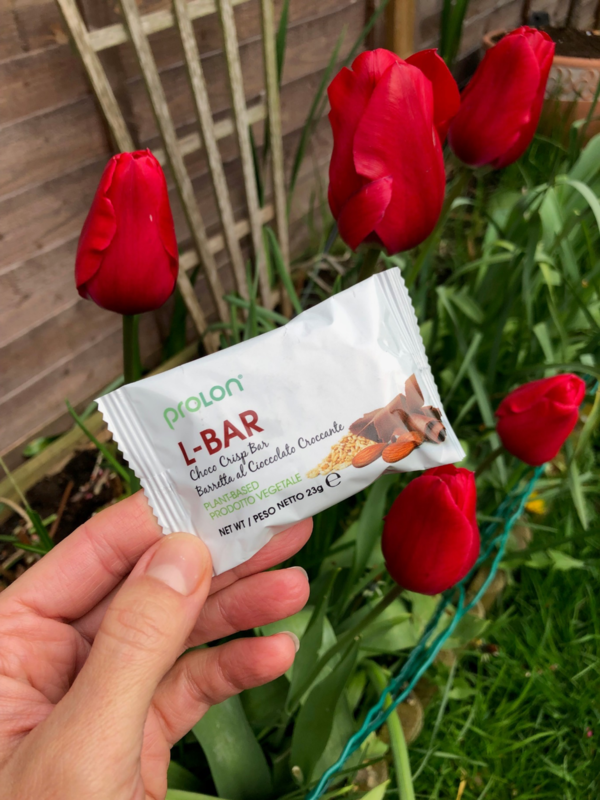 Protein-based snacks can include a piece of low sugar fruit like an apple, pear or a couple of plus a small handful of nuts, hummus and veggie sticks, or even some unsweetened nut butter on toast. Next, stock up on asparagus, which contains high levels of amino acid asparagine – a natural diuretic. In other words, eating more of the spears can help flush out excess fluid and salt from your body, which can help you look leaner and feel more confident on the beach. Carbs certainly aren’t the enemy, and the body uses the right kinds of unrefined carbohydrates – like brown rice, lentils, and oatmeal – to generate energy. But if you’re trying to lose a few pounds pre-holiday, then ditching processed (also known as refined) carbs is an effective way to see quick results. This is because simple carbohydrates like white pasta, white bread and potatoes are metabolized very quickly into sugar by the body. And that sugar is then turned into fat – especially if not balanced by something containing protein. Calories don’t make you feel full – nutrients like fibre, protein and healthy fats do. Sadly, refined carbs are lacking in all three so no matter how much you eat, your body will still feel hungry, meaning you’re more likely to over-eat. So, in the run up to your holiday, you can boost your body confidence by being ‘carbs smart’ and cutting back/swapping refined carbs for high-fibre foods like beans, brown rice and nuts. Instead of white toast and sugary jam for breakfast, toast some tummy-friendly rye bread (which doesn’t spike your blood sugar levels) and eat with a protein-rich poached egg, which will fill you up until lunchtime. For lunch, have a crisp green salad with King prawns or mackerel and lots of raw veggies. Then feed your body with nutrients with a dinner of stir-fried chicken and broccoli with a little brown rice. Alternate your lunches and dinners with different proteins and vegetables, and you’ll soon see the pounds fall off. Fitting exercise into our busy lives isn’t always easy. Even with the best intentions, after a long day at work or taking care of the kids, often a workout is the last thing we feel like doing. But you can start by just moving your body a little more, like taking the stairs instead of the lifts, and try to fit a mini workout whenever you can, even from the comfort of your own home. For example, what about squatting once in the morning for five minutes while you clean your teeth, and again at night-time? To squat, stand with feet hip width apart. Then lower your knees and push your bum out as if you’re sitting down on a chair. Rise up to standing position and repeat until you’ve finished brushing your teeth! Water is one of the most important elements in the body. It makes up about 60 per cent of our bodies and every single cell needs water to function properly. Drinking the stuff also keeps you energized and your skin hydrated. So if you’re full of energy and your skin is glowing, that’s one surefire way to feel good on the beach. Studies have also shown that drinking water raises your metabolism and improves your fat burning rate. And if that wasn’t reason enough to start knocking back the H2O, drinking water before a meal can help you feel fuller and eat less. A good goal is to get yourself a 1.5l bottle of water from the shops (and refill at home on subsequent days) and ensure you finish this by the end of the day – on top of any other drinks you’re having. The bottle is a visual reminder of how well you are doing. Ideally, you want to work up to having 2l a day. Not a fan of water? Make yourself an herbal tea instead! There are tons of different ones out there to experiment with. Green tea is also an option, it’s packed with powerful antioxidants and it has been shown to raise metabolism too. Watch out though as it still has caffeine and avoid having it after lunchtime if you have troubles sleeping. Coconut water is also great for keeping you hydrated, while controlling your blood sugar levels. Low in fat, it can help you feel fuller and reduce cravings. Feeling confident in a swimming costume or bikini isn’t really about losing weight or having a supermodel body. Confidence comes also from feeling good about how you look and finding a flattering swimsuit for your body shape is key. If you have a boyish figure, rock a bikini with ruffles to create some shape. For women larger than a C-cup, avoid triangle-style bikinis that don’t provide any support. Instead take advantage of bra-style, underwired swimwear for a customized fit. Smaller busts can fake a cleavage by investing in one of the many great padded bikini tops out there. Go shopping, high Street stores like M&S, Boden and Topshop have lots of pretty swimwear options with inbuilt secret slimming panels to help you feel your best on the beach. Just find something you feel confident in and rock it! One of the easiest ways to feel bad about how you look is to compare yourself to others. When you feel envious of what someone else has, be it long legs, a flat tummy or toned arms, you are creating negative feelings around your own appearance, which crushes confidence and mood. Remember: to wish you were someone else is to waste the person you are. Why not be as nice to yourself as you are to the people you love? Ask yourself: would I say this to my best friend, my sister, or my mum? If you can’t imagine saying something so nasty to them, then why are you saying it to yourself? Rather than use negative language to describe your body and the areas you dislike, pinpoint the bits you’re happy with. Silence your inner critic and the positive feelings will soon overtake the bad. Tell yourself… aren’t I lucky to have such a peachy, curvy bum! Doesn’t my back look fantastic in that halter-neck dress! Isn’t my hourglass figure lovely! Aren’t I fortunate to have a fuller bust that really fills my bikini! Spending time with negative people will also have an impact on how you view, and feel about, yourself. The more you complain about your own perceived flaws, the more you’re likely to believe they are real. Confidence is contagious so banish body shaming and surround yourself with positive people who make you feel good. These kinds of friends will also make you smile and laugh more, which releases happy hormones called endorphins. Good posture not only makes you look confident, it also helps you appear long and lean. Even the most toned women in the world don’t look their best when they are hunched over. And no matter how flat that tummy is, slouching will naturally curve the spine forward, creating rolls on the belly. It can also make you appear inches shorter than you really are. Posture can even affect your frame of mind. A recent study by researchers from Harvard University found that when a person stood tall and erect, it altered their hormone levels, decreasing the stress hormone cortisol and increasing testosterone, causing them to feel more powerful and in control. For good posture simply throw the shoulders back, puff the chest out and hold your head high. Being happy and confident doesn’t mean that everything (and that includes your body) is perfect. It simply means that you’ve chosen to accept and embrace life, a little cellulite and all. Our bodies were designed to function, so think of all the amazing ways your body has been good to you. Celebrate daily how incredible you are and be grateful that you have a healthy, working body! This is fantastic exercise that sends a really empowering message to the brain to feel happy and confident. Next, think about being 20 years older than you are right now. Would you like to look back on your life and think: “I wish I had accepted myself and been happier in my skin” or would you prefer to think: “I had the best time on that beach with my friends and family and I really enjoyed myself”? Thinking with the benefit of hindsight gives us a better sense of perspective about what we should be minding, and what really matters. Now go, pack that bag and have a fantastic holiday! Summer parties are often filled with sweet, alcoholic drinks that can lead to weight gain and unbalance your blood sugar levels. If you are trying to avoid sugar and alcohol, it’s not always easy to know what to drink instead without feeling deprived. Here you are a few delicious and refreshing alternatives for you to try. Kombucha is a healthy alternative to sparkling soft drinks known for being full of naturally occurring vitamins, acids, and beneficial bacteria. You can make your own kombucha – to be honest I haven’t tried yet….as you know I am pretty lazy when it comes to kitchen experiments- or you can buy it ready made in pretty much all the health stores out there.